This annual series of walks explores and celebrates well-known and not-so-well-known public spaces, connects people with the built and natural environments around them, and sheds light on what makes for a liveable city. Update: Jane’s Walk Ottawa is still on despite the rain, but check the Jane’s Walk Ottawa website to make sure the walk you want to attend hasn’t been cancelled due to wet conditions or flooding. 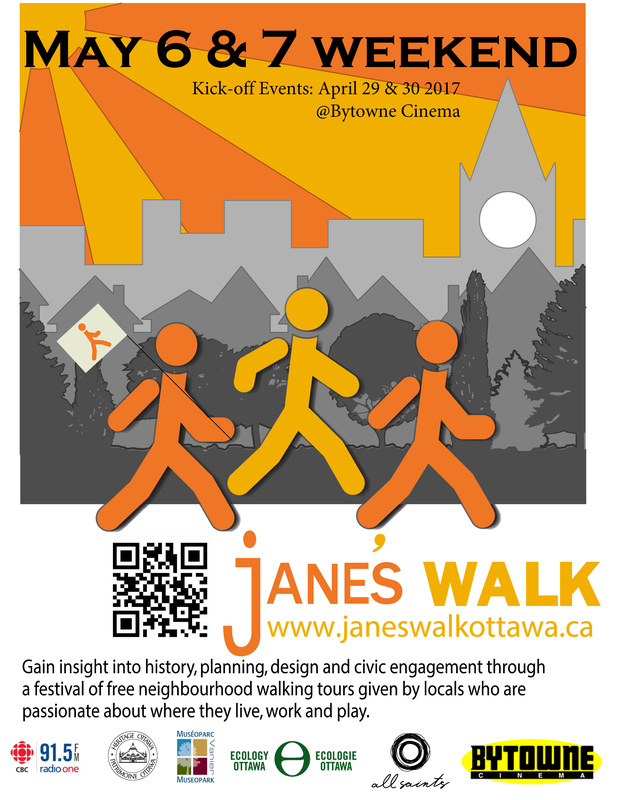 What makes Jane’s Walk particularly compelling is that the walks are led by local residents: storytellers, historians, scientists, community organizers, neighbours and others who volunteer to share their perspectives on parts of the city they know. The walks are free and open to everyone. This year, Jane’s Walk in Ottawa-Gatineau takes place May 6-7. The 50+ local walks happen at the same time as thousands more around the world, all commemorating the ideas of writer and activist Jane Jacobs. Jacobs advocated for people-centred urban planning, building on the “intricate sidewalk ballet” of informal neighbourhood activities, for example, and for vibrant, accessible neighbourhoods. Learn about the ecology and restoration of the Pinhey Sand Dunes. Hope to see you on a walk!